'ONLY ONE PAIR OF HANDS'. CD. ALAN MIDDLETON. THE SOUND OF THE CLASSICAL BANJO. DOUBLE CD. MORLEY MEMORIES. 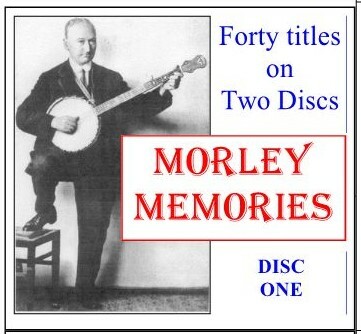 AN AUDIO CD OF JOE MORLEY COMPOSITIONS. ONE OF THE FINEST COMPOSERS OF CLASSICAL BANJO MUSIC WHO EVER LIVED. BERT WEEDON CD - BERT'S BOOGIE.